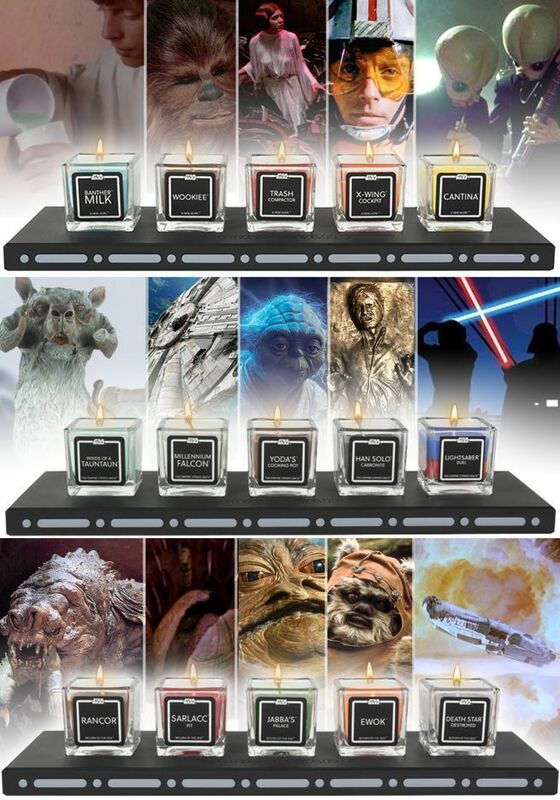 Scented candles based on popular fandoms has become a thing in recent years, but the olfactory aspects of Star Wars haven't been fully explored (officially) until now. Indeed, this range of officially licensed candles will immerse you in the Star Wars universe in ways that you never imagined, and, possibly, never wanted. However, if you are the kind of fan that's curious about what the inside of a Tauntaun smells like, boy are you in for a treat. If you're interested in experiencing these Disney-approved Star Wars aromas, the candle sets can be pre-ordered right here for $36.99 with free shipping in the US. They are expected to ship in November. Limited edition versions of the candle sets are also available for $52.99 each and include an engraved plinth and a presentation box with a magnetic closure. If you want all of the sets, you can purchase all three at a discount - $91.99 for the standard candles and $127.99 for the limited edition versions. If you live in the UK, you can save some money on the Star Wars candle sets by getting them straight from the manufacturer via Geekstore. The entire collection is available to order here with free shipping.